How often were you enthusiastic about having to clean your gutters? 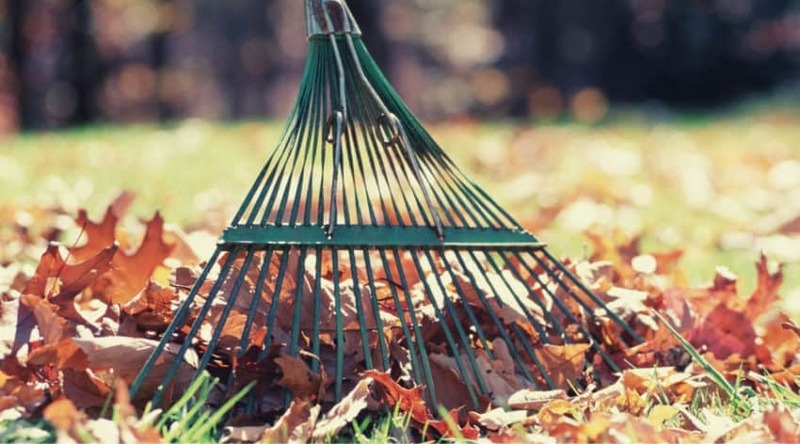 What could you have done with all the time it took to remove leaves, dirt or dead insects? How would you feel if you didn’t have to worry about cleaning gutters ever again? There are certain chores that we mechanically perform and we don’t even take the time to think there’s an alternative that ensures we never have to do that again. We now have automatic vacuum cleaners, washing machines, and dishwashers, so why wouldn’t there be a system that filters rainwater and keeps out all possible debris out from the gutter? The LeafFilter does exactly that: it makes sure that your gutters will forever be clean and sets in place a very professional service that makes sure it happens. The LeafFilter is one of those products you never knew you needed until you found out about it. We’re pretty sure that the inventors were often facing clogged gutter problems and started brainstorming a solution for all their fellow sufferers. It’s a gutter guard that helps you keep your gutters clean and have nothing but water flowing through them. 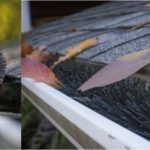 By reading this article all the way through, you will come to learn about what sets LeafFilter apart from other types of gutter protection systems, how and where to ask for a price quotes, which services are included in the total price, as well as discover some general customer opinions as they share their experience with the LeafFilter. The LeafFilter is a great solution when you’re experiencing problems with gutters being clogged due to all sorts of debris, but they are great systems to put in place even in other situations. Sometimes, your gutters can be improperly pitched, thus causing water to accumulate or overshoot. In other cases, gutters may leak due to holes resulted from wear and tear. Sagging is also a common problem with old gutters. Whatever the case, LeafFilter is the best gutter solution we’ve ever come across so far. Efficiently works to keep out all types of debris from your gutter. Works with every type of existing gutter. Buyers can opt for financed payments. Installation team doesn’t always respect the pre-established schedule: they may come ahead of time or too late. After installation cleaning doesn’t always lead to a satisfied customer (check “Customer Opinions” section to learn more). *You might also like: GutterBrush Leaf Guard Review. 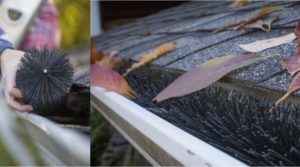 It’s true that there are several alternatives to installing the LeafFilter, but how efficient are other types of gutter protectors? Brush inserts are a type of gutter guards that look to keep debris out. 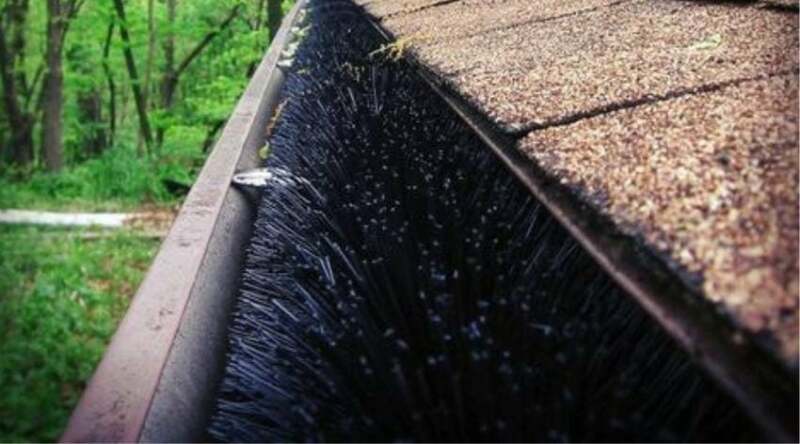 However, due to the wire brush material, debris can actually get stuck and lead to damaging your gutters. DIY screens are also a known type of gutter protection, but with several downsides compared to the LeafFilter. As you first set up your screen filters, you may have to install the product underneath your shingles or bolt/nail them down, which may lead to shingle damage. Most of these protectors don’t even include a warranty. 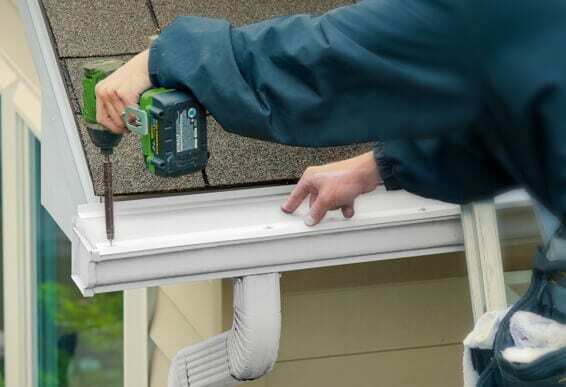 Hood gutters installing is similar to the DIY screen one, in a sense that they may damage the shingles upon initial setup. Due to their one-piece design, they aren’t a match for just any type of gutter and may require replacement altogether. Their design features an opening at the gutter’s lip, turning out to be inefficient when it actually comes to keeping debris out. Foam inserts are probably the most efficient when it comes to keeping out debris, but as time passes and they are exposed to moisture, chances are the foam will encourage the apparition of mold and eventually cause plants to grow inside. Micro mesh products require questionable installing methods and don’t usually come with a no-clog guarantee. That being said, LeafFilter is the most trustworthy option out there. It can be installed in 3 easy steps, it’s made of durable materials and feature lifetime transferable warranty. Since the LeafFilter is designed in such a way as to avoid any gaps or large openings, it can filter even the smallest and trickiest types of debris out there. It will prevent everything from getting in your gutters: from leaves, dirt, seed pods, moss, pollen, pine needles, and even insects and pests. As promised, it will eliminate the tedious and dirty chore of gutter cleaning forever, giving you more free time to do the things you actually enjoy. The price you end up paying for LeafFilter varies from one home to another. You are free to ask for a price estimate. You can do that by visiting their official website and giving them a call or filling out the designated form and have a sales representative call you. One of their experts will measure your gutters and then work with you to determine what you need and how much it will cost. You will then have a full year to decide if you want to take it or leave it, year in which the price won’t change at all. Should you decide that the LeafFilters are suited to your needs, you will have an installation expert come to your home and install the protectors for you. After having the product installed, visit the manufacturer’s website and get the product registered to benefit from the lifetime warranty. Made of 50-micron steel mesh, the LeafFilter blocks out even the tiniest form of debris that could end up in your gutters. The mesh is dense enough to keep everything out while allowing rainwater to pass through the filters, even if it’s raining cats and dogs outside. The surface tension will pull water through the screen even in harsh weather conditions. The 11 angle pitch was well-thought-of, as to allow as much water to pass through as if the gutter was open. The product is made from a uPVC material that’s sturdy enough to last you a lifetime, without warping or deteriorating, even when exposed to several weather conditions. So, whether you’re facing desert-like heat or freezing cold temperatures, the LeafFilter will stay strong and keep your gutters protected. The structural hangers that are added upon installing the LeafFilter are invisible, yet they will do an excellent job at keeping the gutters firmly attached to the fascia board. 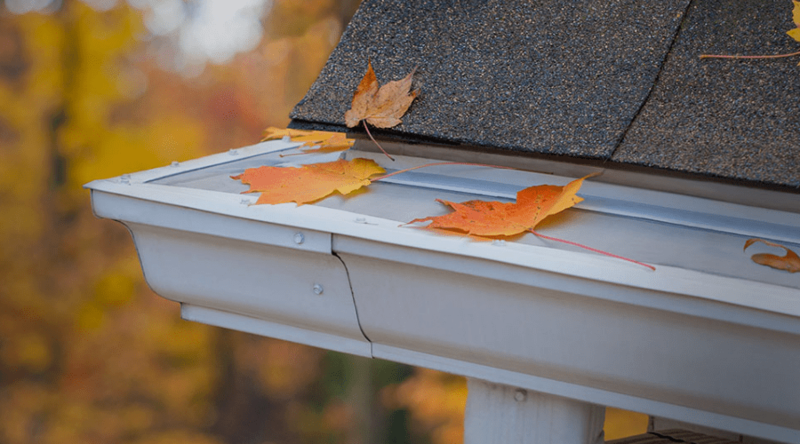 Leaf Filters offers a professional installation service, as they have a team of trained experts that know their way around gutters and the actual product. Aside from having the filters installed, these professionals will also inspect your gutter for weak spots, to make sure that the system you’re purchasing will truly work at a full potential. They will also install new gutters if it turns out that your old ones have any faults or are inefficient. If your old gutter system is ok, the professionals will clean it and make sure that everything is in order to begin the actual installation of the product. The gutters will be realigned and sealed with silicon to make sure no water damage occurs. As part of the installation process, you will also have professionals install hidden hangers that act as a reinforcement, securing them to the fascia board and making sure that won’t pull away from the house. Depending on the complexity and length of your gutter system, installation can take anywhere between a couple of hours to an entire day. 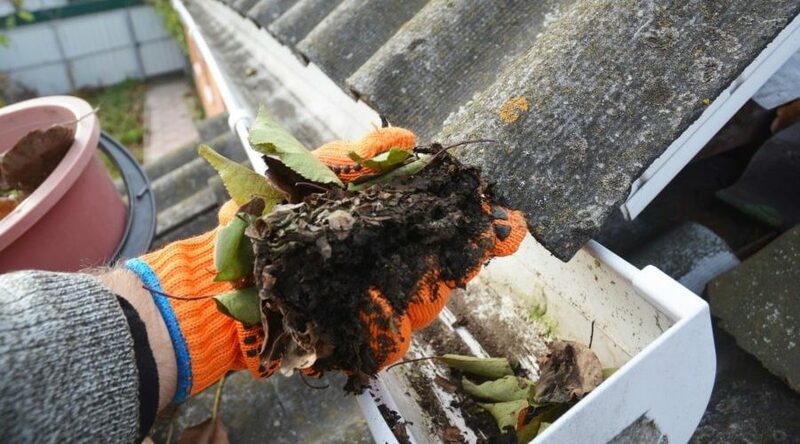 The LeafFilter team will also make sure they don’t leave a mess behind, cleaning up debris, materials and whatever other gutter-related items may be lying around. If there’s one thing LeafFilter underlines over and over again is the lifetime warranty they provide to all their buyers. Basically, if the system fails to deliver, you can get free repairs or your money back. As advertised, the LeafFilter will make sure that no water damage occurs to your home due to clogged gutters. They also promise that the protective filters will keep out any type of debris and keep your gutters clean for many years to come. If at any point, you decide to sell your house, the warranty is transferred to the next homeowner, giving you one additional benefit to focus on as you’re advertising to sell. 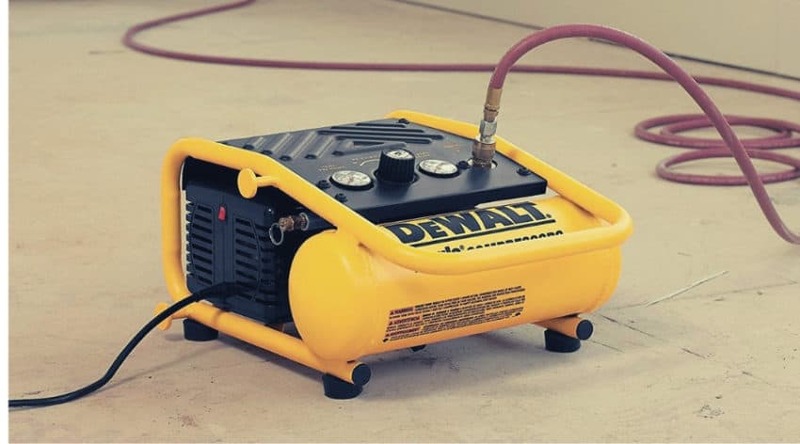 To benefit from this lifetime warranty, you will be required to fill out an online form (you can find it on the manufacturer’s website) and specify your contact info, as well as the installation date and the LeafFilter job number which is an 8 digit alphanumeric code found on the warranty instruction sheet you received. With more than 2,000 Trustpilot reviews, customers are definitely vocal when it comes to their LeafFilter-related experience. We couldn’t help but notice how pleased people were with their interactions with the LeafFilter professionals that came to their home to give an estimate and inspect the gutters. Often described as “real gentleman” and “very knowledgeable”, we have to give kudos to the great customer-representative experience. However, there have been some negative experiences with the installation time, due to them arriving either ahead of schedule or too late compared to the pre-established time. This is a definite no-no, especially if buyers have to leave work to be home when the team arrives. There’s no doubt that the Leaf Filter will deliver exactly as promised. Almost every negative customer review had something to do with another part of the installation service, but almost never anything to do with the quality of the product. Even people who live in wood-thriving areas and often face the problem of leaves falling all over the place are glad to report that the product does the job as promised. We were pleased to discover that so many people were happy with their technicians. However, we never imagined that they would be so happy as to request that the same technician be available to perform any future services related to the Leaf Filter. In fact, technicians were called out by their names and commended for the great jobs they did in most customer reviews. Outstanding! LeafFilter advertises that their team of professionals won’t leave any mess behind after having installed your system. As far as customers’ experience is concerned, opinions are divided. Some technicians did the job, while others didn’t, thus leaving a bitter taste amongst consumers who paid thousands of dollars to benefit from this product and its adjacent services. 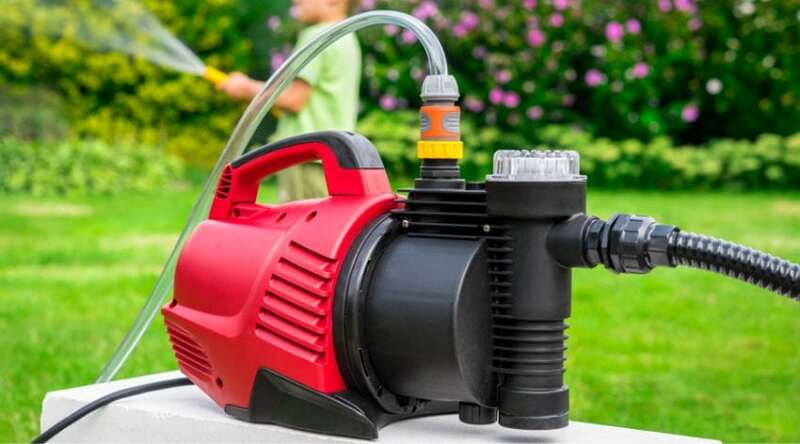 Some people may be disappointed by the high price tag on the Leaf Filter system, but a quick analysis will show them that this is, indeed, something that will rid you of a tedious chore. Cleaning gutters can’t possibly be the favorite past-time for anyone. It’s a dirty job, but one you can fully eliminate from your life thanks to the Leaf Filter. 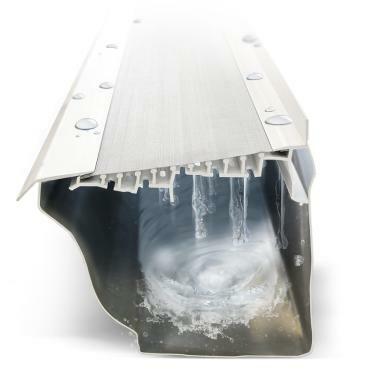 Promising to keep out all forms of debris, the manufacturer delivers a complete experience when it comes to gutter control. Every part of their service was completely thought through, as to make sure you don’t have to worry about anything, except making that initial phone call or filling out the estimate form. The thorough inspection process will give people a clear overview of what needs to be done and how much it will cost. A team of professionals comes to your home and takes all necessary measures to deliver a high-quality end product. From cleaning out your gutters, replacing or repairing any faulty spots and even cleaning up after having done the job, it really seems like Leaf Filter has thought of everything. And if that doesn’t convince you, maybe the lifetime transferable warranty will. As we’ve come to learn, the major customer concerns were not with the product itself, but rather with experiences related to customer service, technicians or sales representatives. While there are some individual complaints related to how they interacted with professionals, buyers of the Leaf Filters seem to be happy with the high quality of the product. 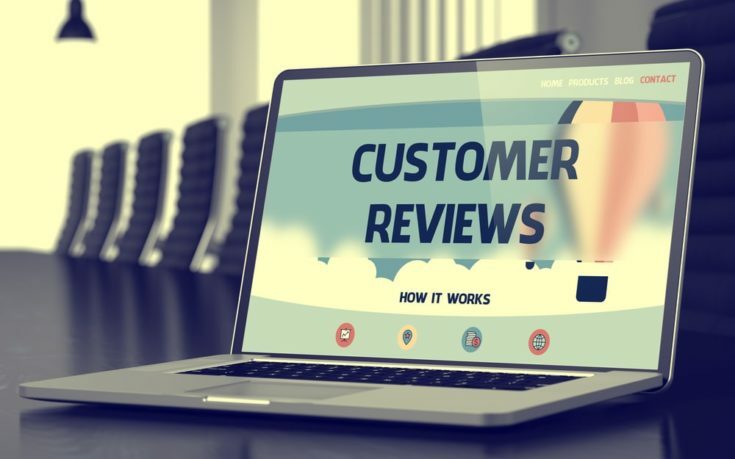 Even with the negative reviews that complained about customer services, we’ve discovered that leaving a bad review has a high chance of triggering the company’s reaction. Even so, we always recommend settling these disputes in private before leaving an angry review for everyone to read.